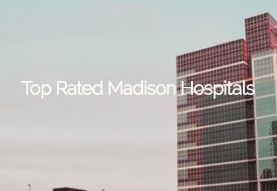 Founded in 1998, Healthgrades is the leading independent healthcare ratings organization, providing quality ratings, profiles and cost information on the nation’s hospitals, physicians, nursing homes and prescription drugs. Millions of patients and many of the nation’s largest employers, health plans and hospitals rely on HealthGrades’ quality ratings, advisory services and decision-support resources. 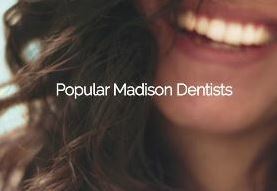 Healthgrades is based in Denver Colorado and has offices in Madison Wisconsin, Atlanta Georgia and Raleigh North Carolina. 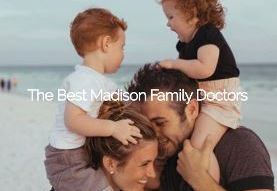 More information on the company can be found at www.healthgrades.com. 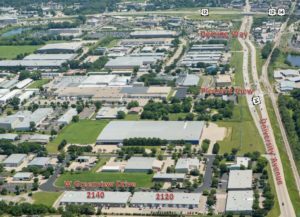 Industrial/warehouse and office space available in 2120 & 2140 West Greenview Drive. 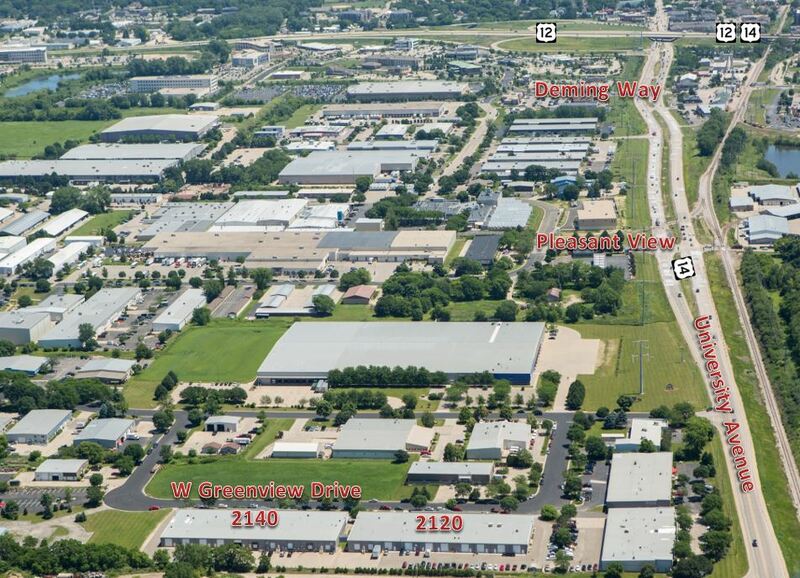 2120 W Greenview offers options from 4,620 square feet up to 30,800 square feet of contiguous space. 2140 W Greenview offers two suite options including a 3,080 square foot space and a 14,364 square foot option. 2120 & 2140 are currently connected via a ‘canvas hoop building’ (more permanent building connection options available) offering an option for approximately 46,000 square feet of contiguous space. Contact Welton Enterprises, Inc. for more details. 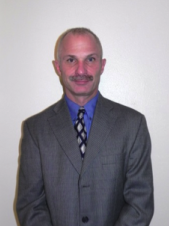 Other: Tenant also responsible for trash service, utilities, phone & data, in-suite maintenance and janitorial. Executives of Exact Sciences are interested in building a new processing lab because the company has grown significantly over the last eight years. They are considering the former Spectrum Brands building on Rayovac Drirve and another undisclosed location in Fitchburg, and hope to create 250 more jobs over the course of five years. A $2.5 million TIF loan is being considered on by the City of Madison for the expansion. Early in 2018, Vortex Optics World Headquarters will be re-located in eastern Iowa County, adjacent to US Hwy. 18-15, occupying their new everything-in-one building with 250,000 square feet for development, assembly and sales of binoculars, monoculars, spotting scopes, rangefinders, prism scopes, Red Dot sights, and tactical riflescopes. In addition, a storage facility with 30,000 square feet completes the present buildings. Intertek announced the expansion of its building and construction operations in Canada with the rollout of geotechnical and construction materials testing services. The new services include project specification reviews, soil and concrete materials testing, field studies, laboratory testing and analysis, inspections, project monitoring, testing in full size environmental chambers, mix designs review and design services. Madison Children’s Museum hosted the annual American Girl Benefit Sale July 22-23, 2017 at 8830 N Greenview Drive in Middleton, Wisconsin. The benefit raised right around $1 million dollars. 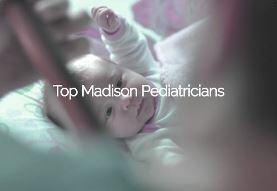 All funds were divided between Madison Children’s Museum and American Girl’s Fund for Children which provides grants for charitable programs for children throughout Dane County. As contractor for the new Milwaukee Bucks arena, Wall-tech collaborated with WRTP Big Step to craft an accelerated two-week boot camp to provide job training for local residents. As part of the Residential Preference Program, 40% of the project employees must be from the city of Milwaukee. This training provides a channel for people to get work in a number of trades. Capitol Physical Therapy opened its 5th location on University Ave in Madison, WI in early August 2017. The clinic can be found at 3525 University Avenue, next to Starbucks and Bliss Flow Yoga and offers early morning and later afternoon appointments. Services provided from the new location will include orthopedics, women’s health, pelvic PT, seniors, oncology PT, and injured workers. 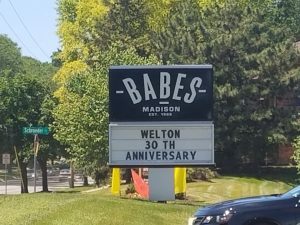 Welton Enterprises, Inc. celebrated it’s 30th anniversary with tenants, business partners and guests at Babes in Madison on June 14, 2017. 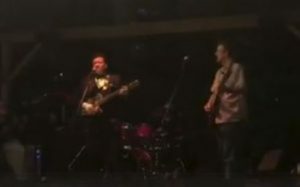 Attendees enjoyed live music by The Sundogs, complimentary dinner buffets catered by Babes, and raffles drawings as part of a benefit for Our Lady of Hope Clinic. 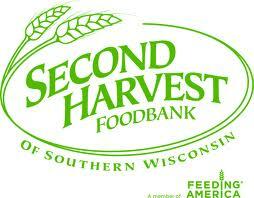 More information on the benefit can be found in Community Efforts. 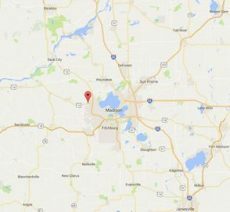 Extreme Engineering is moving to Silicon Prairie™ Business Park, near Mineral Point and South Point roads, on the far west side of Madison in a newly created TIF District. The proposed two-story, 115,000 square-foot building, shown in this rendering by KEE Architecture, is scheduled to be completed by late summer 2018. Silicon Prairie™, one of Madison’s newest mixed use business parks, has over 51 acres of land available for office, complimentary retail and light industrial/flex development. With protective covenants in place you can ensured that each property will be developed with an eye towards long term value and constructed to environmentally sustainable standards. Contact Paul Molinaro for more information. On June 14, 2017, Welton Enterprises, Inc. held a benefit in support of Our Lady of Hope Clinic as part of it’s Tenant and Business Partner Appreciation party. We would like to say THANK YOU to the Welton business partners listed below for their generous support. Our Lady of Hope Clinic is a free primary medical care clinic for uninsured men, women and children that offers walk-in appointment times for recipients four days a week; effectively eliminating the need for those without insurance to wait weeks, or longer, to see a doctor. Easter Seals Wisconsin serves close to 10,000 children and adults with disabilities and their families each year in Wisconsin, their mission is to increase independence, maximize opportunities, minimize barriers, and enhance the quality of life for people with disabilities. 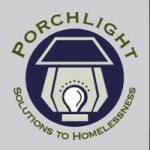 Welton supported this charity with a holiday donation. Boys and Girls Club of Dane County touches the lives of nearly 5,500 young people, their mission is to be the leader in youth development programs by developing partnerships to produce positive outcomes for young people, families and communities. Welton supported this charity with a holiday donation. Habitat for Humanity of Dane County. Through volunteer labor and donations of money and materials, Habitat builds and rehabilitates simple, decent houses with the help of the partner families. Habitat homes are sold to partner families at no profit, financed with affordable, no-interest loans. Welton supported this charity with a holiday donation. 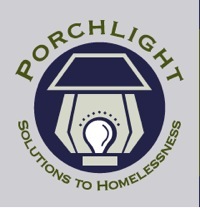 Porchlight, Inc. strives to decrease the homeless population by providing shelter, housing, supportive services and a sense of community in ways that empower residents and program participants to positively shape their lives. Welton supported this charity with a donation. It has been another fulfilling year for Welton Enterprises. We welcomed five new tenants in the last six months, as well as helped two existing tenants expand their businesses within our properties. We are pleased to be wrapping up a major project to improve roofs within our portfolio. Six will be completed in 2017, followed by another six in 2018; totaling nearly 700,000 square feet.. I truly have a rewarding job where I get to meet great people and build wonderful relationships. I look forward to the challenges of 2018.